But here at Gizmodo, we have been very concerned about Gary’s well-being and whereabouts. The idea of lil ol’ Gary being forced to race against a giant tunneling machine is a little disturbing, and we just want to make sure our small, slimy buddy is gonna be okay. Last night, Musk brought Gary—or a snail alleged to be Gary, I should say—on stage with him at a Boring Company information session in Los Angeles. This is our first Gary sighting in several months, so it’s very exciting! 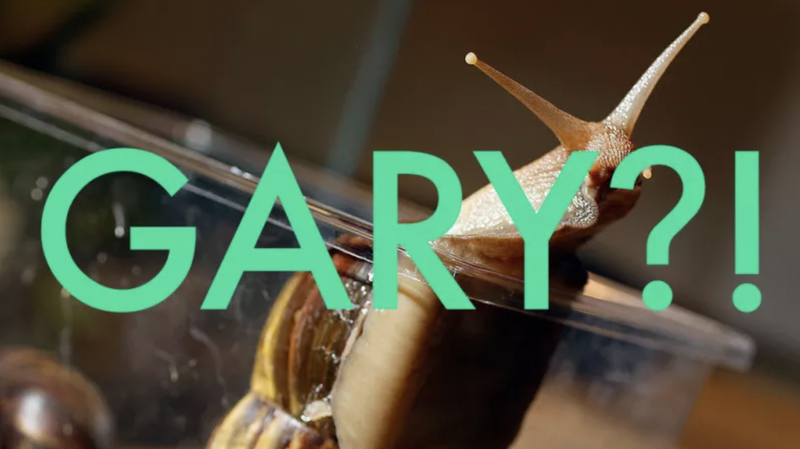 However, I’m not entirely sure that this snail is Gary. In fact, it’s possible that The Boring Company has burned through several Garys at this point. This intel comes from an eagle-eyed tipster who follows Musk and his family members on Instagram, and emailed me last month with the shocking news that the original Gary might be dead. I emailed a spokesperson for The Boring Company in mid-April to ask why the company is on its fourth Gary, and what happened to Garys one through three. I have yet to receive a response, but will update this story if I do. I’ve also attempted to investigate the race conditions that Gary will be subjected to when he goes head-to-head against the boring machine. Paul Callomon, the collection manager of malacology, invertebrate paleontology and general invertebrates at the Academy of Natural Sciences of Drexel University, told me in August that Gary probably wouldn’t know he was participating in a race, and so he would not suffer any psychological stress. However, a rocky or bumpy surface—like a tunnel carved by a giant machine—might not be the ideal racing surface for a creature that travels on a trail of slime. However, it appears that either Gary is speeding up—perhaps because he’s been replaced by a younger, speedier snail—or The Boring Company is slowing down. Last year, Musk said that Gary was capable of going 14 times faster than his boring machine; however, he announced last night that Gary is currently traveling 15 times faster than the company’s current product. Do you have information about Gary’s lifestyle and well-being? Please email me, or contact Gizmodo anonymously using SecureDrop.